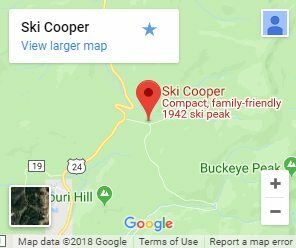 The Cooper family does our very best to ensure that skicooper.com is accessible to those with disabilities. To that end, we strive to ensure that all images have alternative text, that the website is navigable and compatible with site readers, along with providing single-click buttons to switch to high-contrast, zoomed, and grayscale modes. If you have any difficulty using this website effectively due to accessibility issues, please let us know right away at 800-707-6114, or email info@skicooper.com, and we will do our best to address the concern. Thank you, and we look forward to your visit to Cooper!